More information can be found on our dedicated event page. Tickets are available now through Ticket Source and will be available behind the bar at the Community Centre from the weekend. We look forward to sharing this celebration with you! 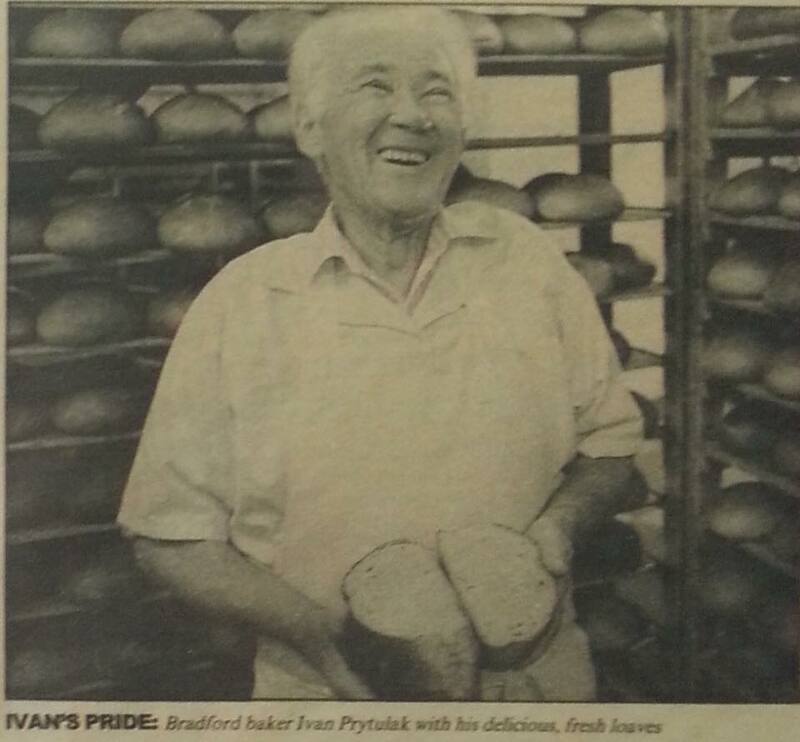 THEY arrived in Bradford as displaced people after the war, beginning a new life in a smoky industrial city far from home. 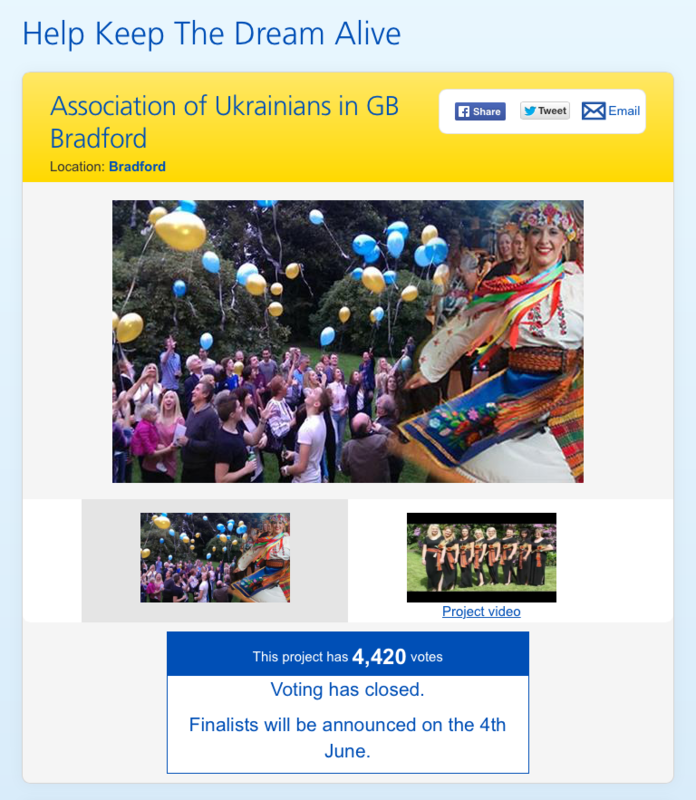 Ukrainian people settling in Bradford went on to set up an association which became the heart of their community, offering cultural, educational, social and sporting activities for generations. This summer they celebrate its 70th anniversary. Last month around 500 people turned out for a day of celebrations at Bradford’s Ukrainian Club on Legrams Lane. Guests including the Lord Mayor of Bradford, Councillor Zafar Ali, watched traditional dancing and music. A gala concert is planned for September 29. The Association of Ukrainians in Great Britain was founded in 1945 by Ukrainians already living in the UK. Significant numbers of Ukrainians from Displaced Persons camps in Western Germany, Austria and Italy arrived after the war. 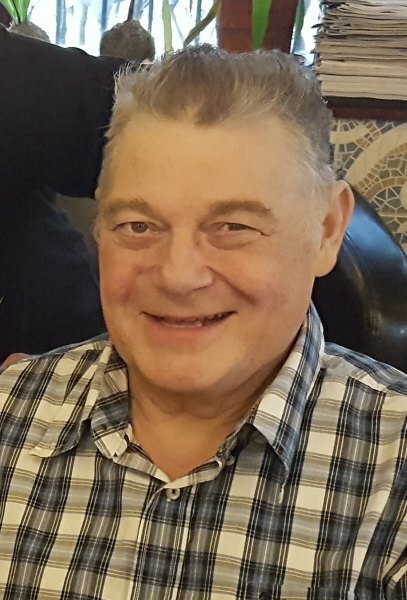 Andrij Kalyta, who came with his wife to work in the textile industry in 1947, was among those who set up a Bradford branch of the Association, under the leadership of Ivan Smereka. Major roles in community life were attributed to two priests – Fr Michael Ratushynskyj, the Ukrainian Catholic priest, and Fr Yov Skakalskyj the Ukrainian Orthodox priest. Father Ratushynskyj led services at St Patrick’s Catholic Church in Westgate, a focal point for Catholic Ukrainians until 1957 when they bought a church on Fairfield Road, Manningham, which they named The Holy Trinity. In the 1960s a new Ukrainian Catholic church was purchased on Wilmer Road, Heaton. The Ukrainian Orthodox community was based at St Mary Magdalene Church until 1964, when they purchased St Mary The Protectress church in Eccleshill. The first meeting of the Association in Bradford took place on December 26, 1948, and the first committee was selected, with Walter Korduba as chairman. There were 160 registered members of the Association. The Association set about organising cultural activities, establishing a choir, drama group and dance ensemble. Concerts were performed for the growing community and by 1949 membership was 439. In 1950 the branch bought premises on Claremont for a cultural centre. 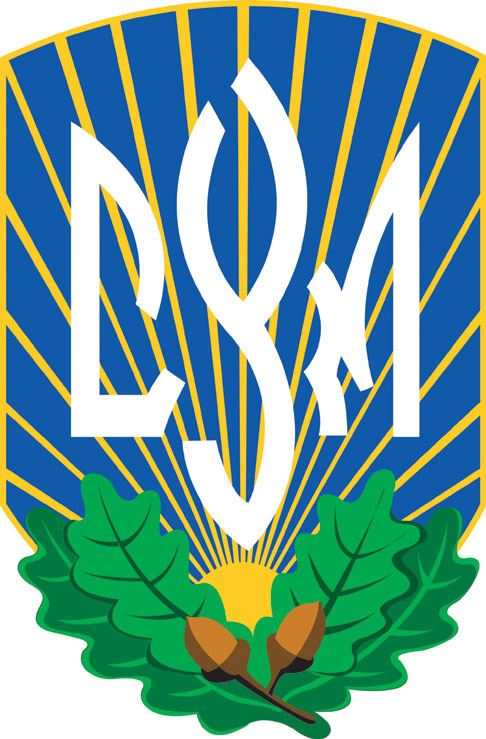 The community flourished, and a sports club was formed, consisting of a Ukrainian football team, Dnipro, and a chess team. 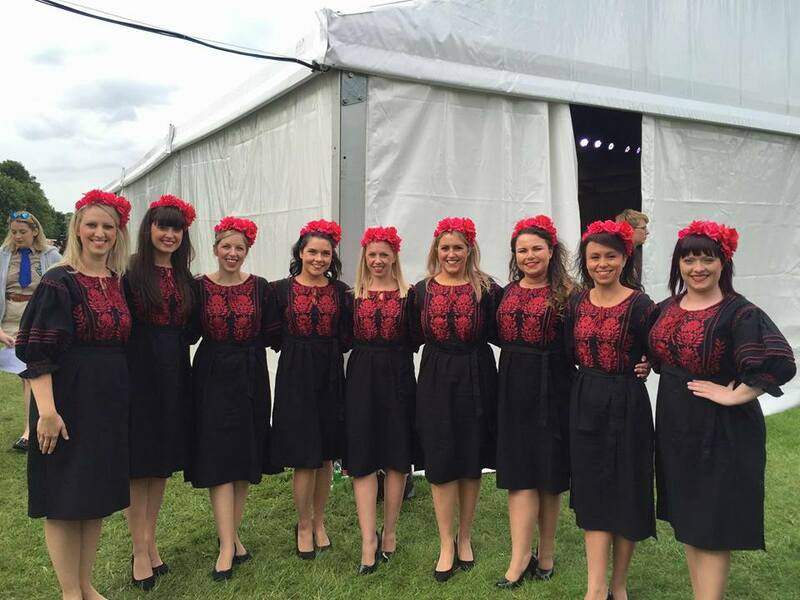 The local branch of the Youth Association was also active, and youth choir Dibrova became one of the best Ukrainian choirs in the UK. 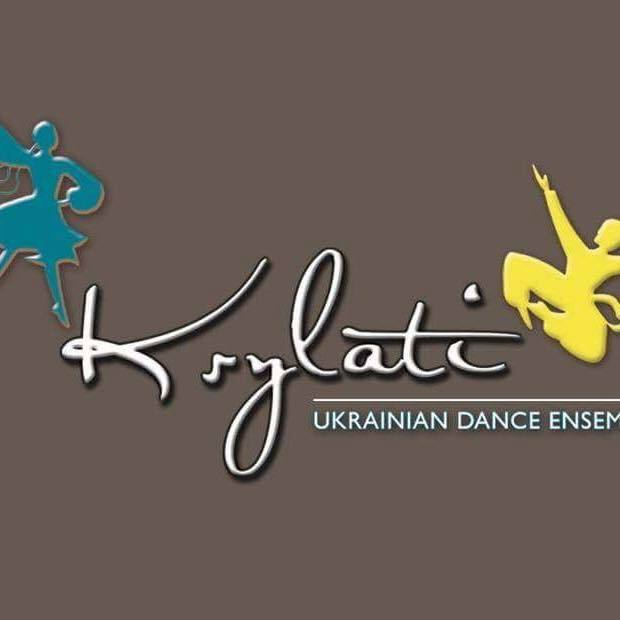 Dance group Krylati toured Western Europe and appeared on TV’s Opportunity Knocks. The community is also active in sport, particularly football, chess and table tennis. 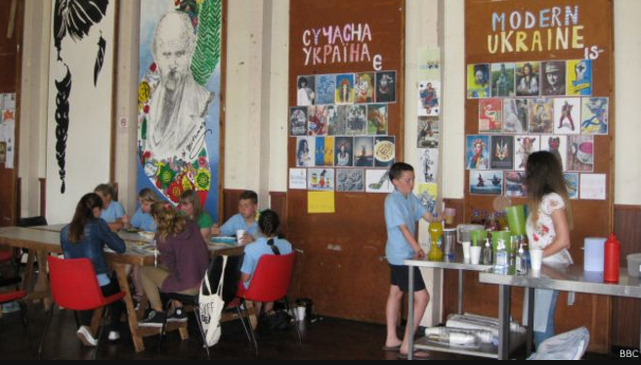 In 1953 Bradford’s Ukrainian School, named after Ukrainian poet Taras Shevchenko, opened with more than 100 pupils, teaching Ukrainian grammar, literature, history, geography and religion. Several family-owned Ukrainian delicatessens opened in Bradford, and a Ukrainian co-operative store on Victor Road. Some businesses remain, including Kolos bakery. In 1964, marking the 20th anniversary of the Anti-Bolshevik Block of Nations, local organisation the Captive Nations Committee was formed, with members from Ukraine, Latvia, Lithuania, Estonia, Hungary, Byelorussia and Poland, demonstrating against Russian occupation. Plaques in Bradford Cathedral and Jacob’s Well commemorate the committee. Bradford and Keighley have an eternal flame commemorating the 75th anniversary of the Holodomor in Ukraine, and a memorial plaque stands in Bradford’s Memorial Gardens. A highlight for many Ukrainians was a visit by the Patriarch of the Ukrainian Catholic Church, Blessed Josef Slipyj in May, 1970. The T&A reported that over 1,000 Ukrainians turned out at Leeds Bradford Airport to greet him. The Ukrainian community moved into its current premises on Legrams Lane, in 1979, and a new school opened there in 1983, and later a sports pitch. 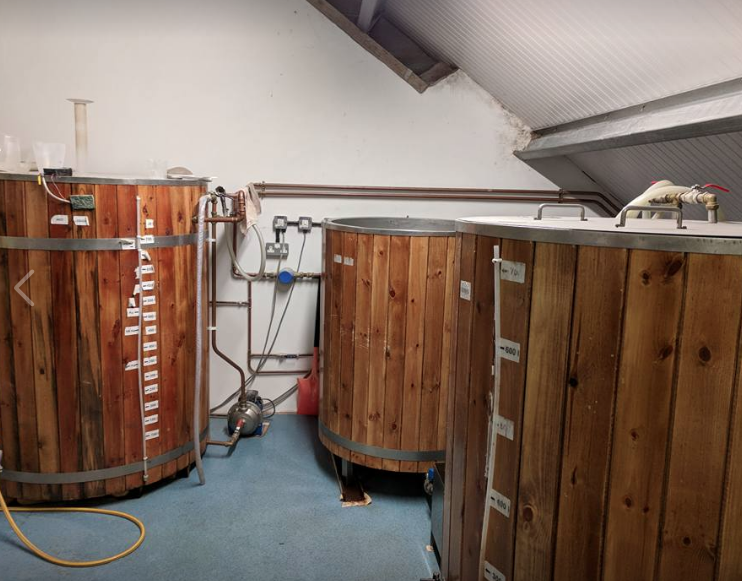 As a present to ourselves and to you we’ve commissioned a special 70th Anniversary beer. 1948 – is a Pale Ale brewed with mosaic hops. Very light in body with a wonderful fruity aroma. At 4% it makes a perfect session ale. 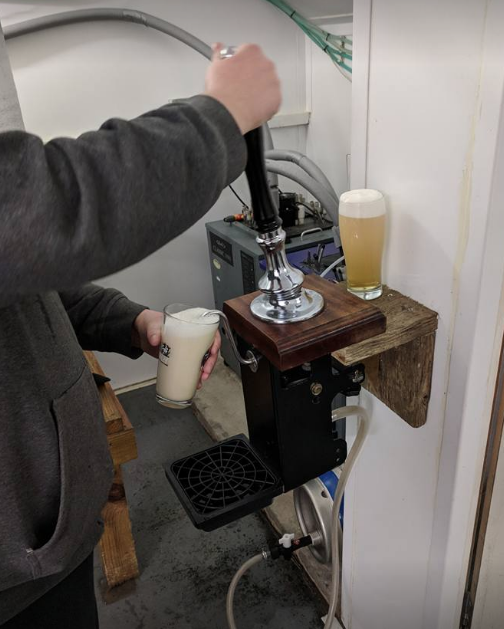 The beer will be available in souvenir bottles and on cask throughout the year with the first bottles available soon! 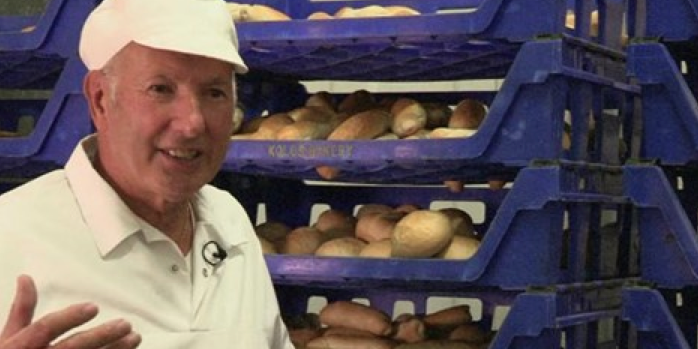 Now on YouTube ‘Taste with Jancis Robinson’ a documentary about the bakery, firstly broadcast by BBC2 in 1999. In Ukrainian Happy/Merry Christmas is ‘Веселого Різдва’ Veseloho Rizdva (Merry Christmas) or ‘Христос Рождається’ Khrystos Rozhdayetsia (Christ is Born). Happy/Merry Christmas in lots more languages. The room where Sviata Vecheria is eaten normally has a Didukh decoration placed in it. The Didukh is a made from a sheaf of wheat and symbolises the large wheat fields in Ukraine. It literally means ‘grandfather spirit’ and can represent people’s ancestors being with them in their memories. Sometimes people use some heads of wheat in a vase rather than a whole sheaf of wheat. 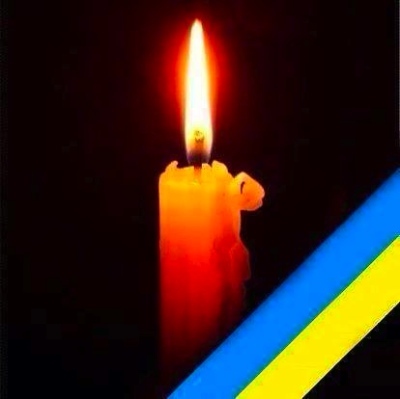 This weekend sees Ukrainians in Ukraine and in the diaspora commence commemorations of the 85th anniversary of the Holodomor – the 1932-33 forced famine in which millions of Ukrainians were systematically starved to death. The Holodomor was no accident. In 1929 the Kremlin implemented a ruthless programme of terror in Ukraine against prosperous Ukrainian farmers, academics, cultural and religious leaders and indeed anyone who opposed Moscow’s diktats – all were either deported or liquidated en masse. “That this House has considered the Ukrainian Holodomor. У Палаті громад (нижня палата парламенту Великої Британії) закликали визнати Голодомор 1932-1933 років в Україні геноцидом проти українського народу. Про це ішлося під час дебатів про Голодомор, які відбулися у Вестмінстерській залі британського парламенту, повідомляє УНІАН. Ініціатором дебатів виступила член правлячої Консервативної партії у Палаті громад Паулін Лейтем. Заїї словами, вона вже не вперше бере участь у дебатах на цю тематику та постійно закликає уряд Британії визнати Голодомор в Україні геноцидом. “Я перебуваю сьогодні тут, щоби нагадати колегам про це злодіяння, яке сталося в Україні у 1932-1933 роках, і знову закликати, аби уряд визнав цей заполітизований прояв зла геноцидом”, – наголосила Лейтем. Вона заявила, що український Голодомор був навмисно організованою Йосипом Сталіним кампанією, щоб знищити значну частину українського населення. На переконання Лейтем, з історії про Голодомор необхідно засвоїти важливі уроки, аби “забезпечити, що світ ніколи знову не буде сліпим перед такими широкомасштабними злодіяннями”. Лейтем підтримав членЛейбористської партії Стівен Паунд: “Те, що сталося в Україні, те що сталося під час Голодомору, було геноцидом. Не більше, не менше”. Такої ж позиції дотримується член Шотландської національної партії Карол Монаган, яка наголосила, що уряд Шотландії продовжує дотримуватися позиції підтримки України та висловлює солідарність з українським народом. AUGB AGM Doncaster. 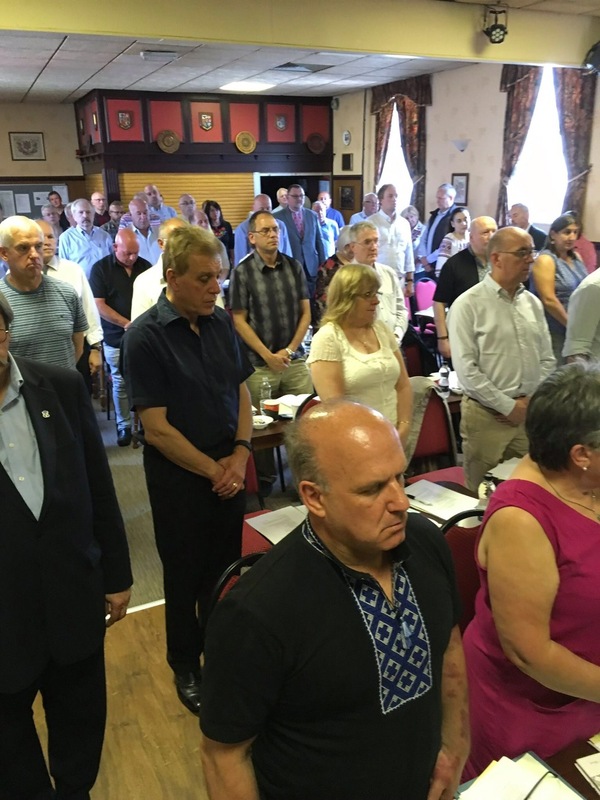 A minute’s silence at the AGM to remember those members of the community who have passed away over the last year, those who have suffered and lost their lives from the terrorist attacks in London and Manchester and the Grenfell Tower fire, and all those heroes who have died defending Ukraine’s independence. Вічна пам’ять! Eternal memory! We had a very special guest experiencing Ukrainian diaspora life in Bradford today. BBC Saturday Kitchen have been filming with Olia Hercules as part of a Eurovision special. 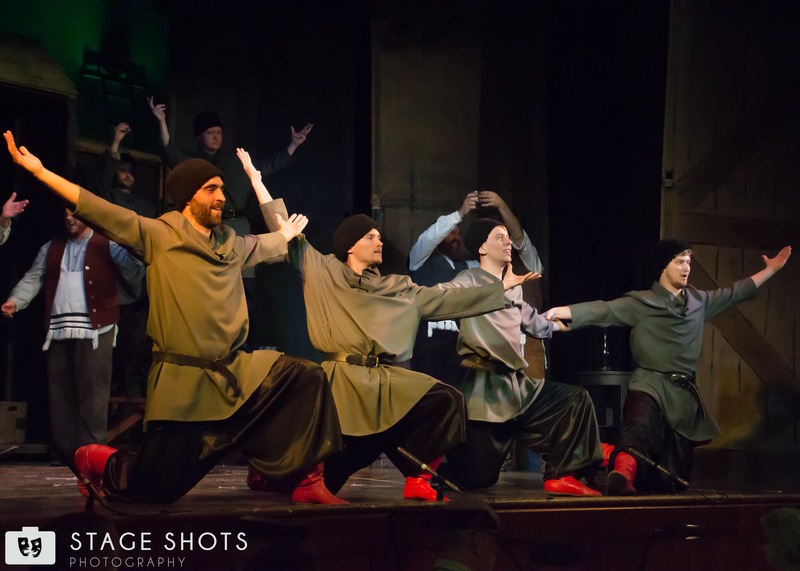 Neil Jones may be a Pro dancer, but even he was confused by Cossack dancing! Here’s what happened when he tried his hand (and feet!) at the unusual dance. Passed away peacefully on Friday 13th January 2017 after a long battle against cancer aged 65 years. Beloved husband to Darka. Loving father to Lesia, Katrusia and Hanya. Adoring grandad to Danylo and Larissa. Full mass in his memory will be held at 10.30am on Friday 3rd February 2017 at Ukrainian Catholic Church of The Ascension of Our Lord, 2 Fosse Road South, Leicester, LE3 0QD. Followed by a burial from 12.45pm at Gilroes Cemetery, Groby Road, Leicester LE3 9QG. There will be a 65 seated coach from the church to the cemetery and then to the wake. Priority is for those on public transport, elderly and frail. After which a funeral wake will be held at the Association of Ukrainians in GB Leicester Branch, 2a Fosse Road South, Leicester, LE3 0QD. All are welcome to attend. The family request that Bohdan’s life is celebrated and there is no requirement to wear black. Flowers are also welcome or donations in lieu. May his soul Rest in Peace! Вічна Йому Пам’ять! 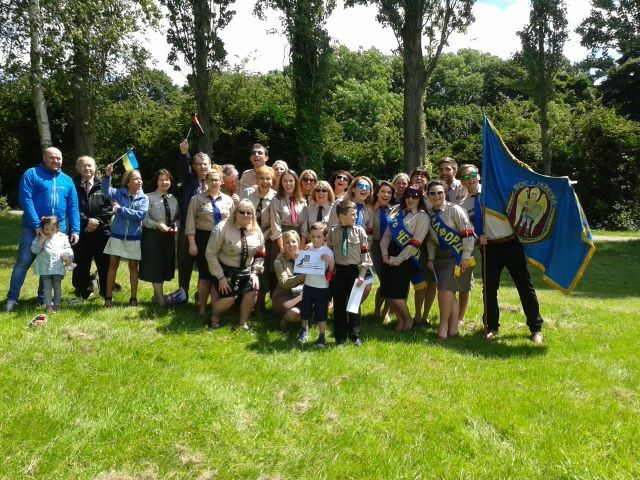 Well done to all our representatives at zdvyh at Tarasivka this weekend. Both Fiyalka and Krylati being winners, trophies will be display in the bar soon. 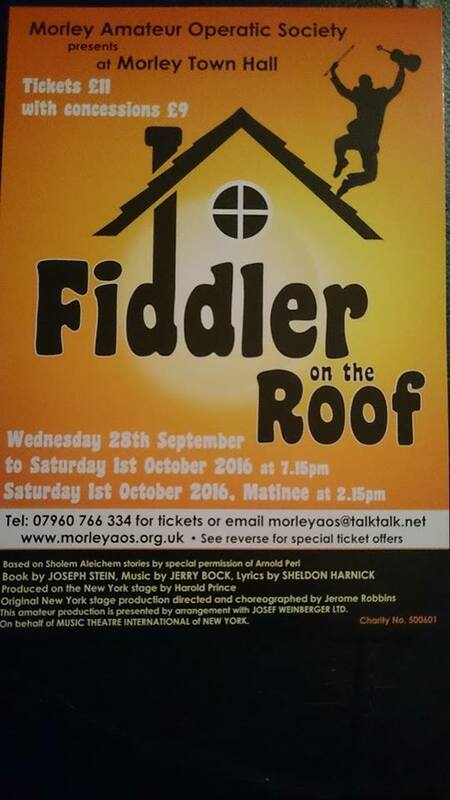 Krylati are delighted to say that we will be joining Morley AOS in their production of “Fiddler on the Roof”! The show will run at Morley Town Hall from Wednesday 29th September until Saturday 1st October. We would love it if you could come and watch the show. Tickets are available now – call 07960766334, e-mail morleyaos@talktalk.net or visit www.morleyaos.org.uk for more details Tickets are available now! 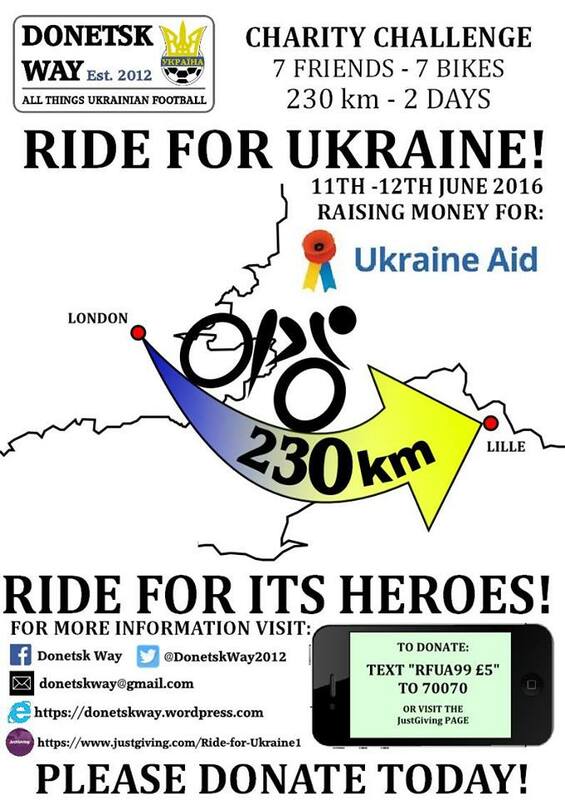 Seven riders jump on two wheels to support those affected by war in Ukraine, as they ride to support Ukraine. Since hosting the last version of the European Championships alongside neighbours Poland in 2012, Ukraine has seemingly been in perpetual crisis. In 2013/4 the EuroMaidan movement saw over 100 lose their lives as the corrupt regime of Viktor Yanukovych came to an end and Ukraine made a shift towards Europe. However Russia had other ideas, and quickly moved in, occupying and annexing Crimea before starting an uprising in Ukraine’s Eastern Regions of Donetsk and Luhansk. The subsequent war between Ukraine’s volunteers battalions and the Russian backed proxies has resulted in over 10,000 deaths, upwards of 30,000 wounded and up to 2million people forced to leave their homes. Periodic violence continues to affect the region with more deaths and injured reported almost daily. Working with British-Ukrainian Aid (Charity No: 1164472 – www.ukraineaid.co.uk), the Ride for Ukraine aims to raise money for those affected by the ongoing crisis. Cycling from London, 7 riders will ride over 200miles to Lille, in time for Ukraine’s first game in Euro 2016 against Germany on Sunday 12th June. Many of those riding visited the effected regions during the 2012 championships, travelling through towns such as Horlivka, Kramatorsk and Slovyansk, spending considerable time in Donetsk and Mariupol while supporting Ukraine. None of them could have envisaged how drastically different life would be for those they met, and the area they visited just four years later. British-Ukrainian Aid is a UK based charity that is supporting people suffering from the armed conflict and humanitarian crisis, including the injured, wounded, orphaned children, the elderly, internally displaced persons and families who have lost their breadwinners. 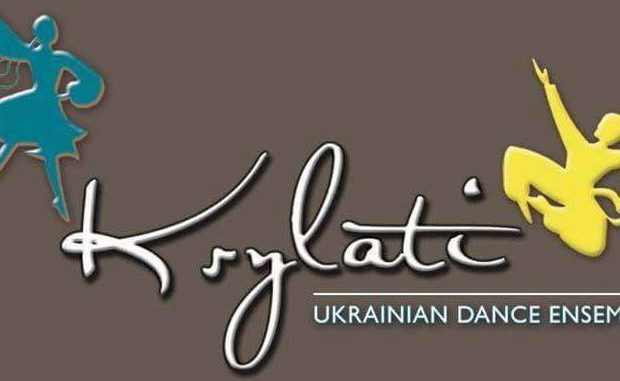 All monies raised will go towards supporting British Ukrainian Aids projects in the region. https://www.justgiving.com/Ride-for-Ukraine1 or directly to Ride participants. It is an unusual link-up to say the least. But Bantams fans have found a new band of fanatical supporters in the Eastern European republic of the Ukraine. The fans of the Ukrainian second division outfit of Zirka Kirovograd have taken the city to their hearts – and are willing them to survive in the Premiership. Zirka (meaning Star) has a small but passionate fan base who, surprisingly, adopted City as their English side, perhaps because of the city’s large Ukrainian population. A WOMEN’S group keeping Ukrainian culture alive in Bradford celebrates its 65th anniversary this year. A recent rush of 30 new younger members signing up to join the city’s Association of Ukrainian Women in Great Britain means it now has 90 members. 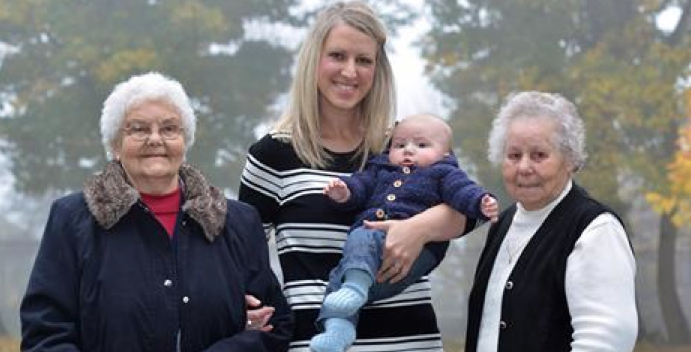 The oldest is 91 and the youngest is in her early 20s which means the group which started after the war when many Ukrainians came to work in Bradfords mills has a bright future ahead of it. When it started in the city it had only 16 members at its first meeting, dedicated to preserving Ukrainian heritage and tradition as well as welfare work caring for others from its community. 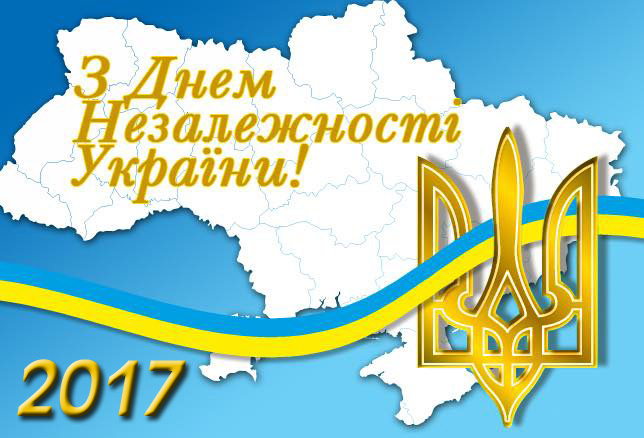 To mark the special anniversary being celebrated by other branches across England and Scotland, the Bradford members are busy organising an autumn bazaar at the Ukrainian Community Centre in Legrams Lane on Saturday, November 14, at 1pm. The women have made thousands of Varenyky for the occasion and hope the tasty national dish, larger than ravioli and bigger than Cornish pasties stuffed with cheese and potato, will bring in crowds to get a real taste of the Ukraine One of the bazaar organisers is Daria Macina, 63, of Bankfoot, Bradford, whose parents came, met and married here.Promoted stories She said: “I joined about ten years ago because I was losing the skill of speaking Ukrainian. “Coming to the group and down to the Ukrainian club means there’s always someone to talk to in Ukrainian. It’s so important our group exists because otherwise our culture will be come more and more diluted. “We want to carry it on and keep it alive. Getting younger members, mostly daughters and grandchildren of our older members means we can do this. “We’ve had a bit of a recruitment push this year which has been great for us. 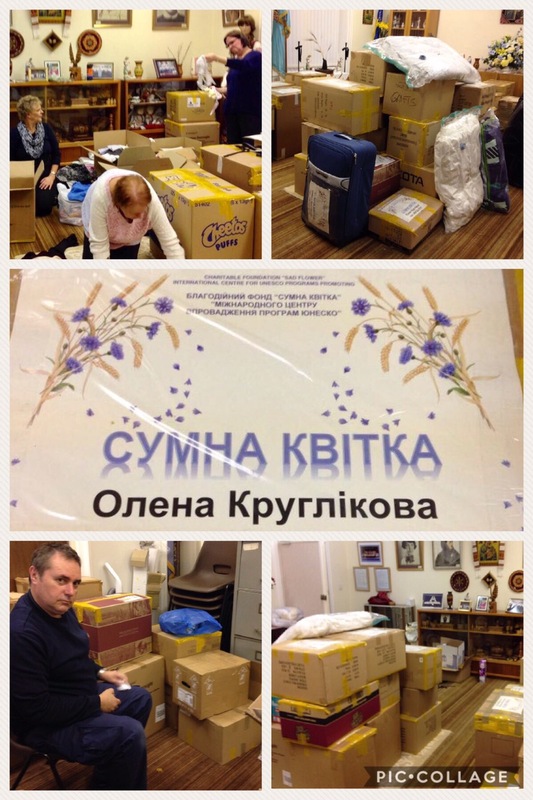 It’s not all been relatives we’ve had a few new members who are new migrants but not so many but we’d like to see more.” Last year the group supported two Ukrainian families whose fathers were badly injured after the invasion by Russian forces. They sent parcels to the children and a recent fundraiser coffee morning made £650 for the Macmillan Cancer Care charity. Members’ latest mission is to fill shoeboxes with socks, gloves, chocolate and toiletries to send to men and women soldiers defending the Ukraine. Українська пекарня “Колос” у місті Бредфорд залишається прикладом найуспішнішого підприємства, заснованого українцями першої повоєнної хвилі еміграції. 9 жовтня 1961 року маленьку приватну пекарню відкрили Іван та Ольга Притуляк, які перед тим 14 років працювали на текстильних підприємствах Західного Йоркшира, куди приїхали з табору для переміщених осіб в окупованому західними союзниками секторі переможеної Німеччини. Там, у таборі, вони і побралися. Тепер родинну справу продовжують їхні сини. Про те, в чому секрет успіху української пекарні Бредфорда, – в репортажі Ірени Таранюк. Також із циклу до 70-річчя створення Союзу українців Великої Британії дивіться репортаж про історію СУБ і репортаж про відділ СУБ у Бредфорді. On the eve of the Ukraine’s ‪#‎FlagDay‬ and National Day, the Great British Bake Off 2015 highlights The Korovai, the bread sculpture, which is the centerpiece of any traditional Ukrainian wedding. 7 women from 7 different places are transferring positive energy into the bread for the bride and the groom with singing songs in the process of bread-making. The Korovai is decorated with dough figurines. Pine cones represent fertility, poppies for serenity and birds created in the likeness of the guests at the wedding. Thank you to the Embassy of Ukraine London for this link. Thank You To Everyone Who Voted For Us! 4,420 Votes. Sadly this time we did not win. The support you showed was amazing and also shows how loved our club is. So keep on supporting the club and KEEP THE DREAM ALIVE! 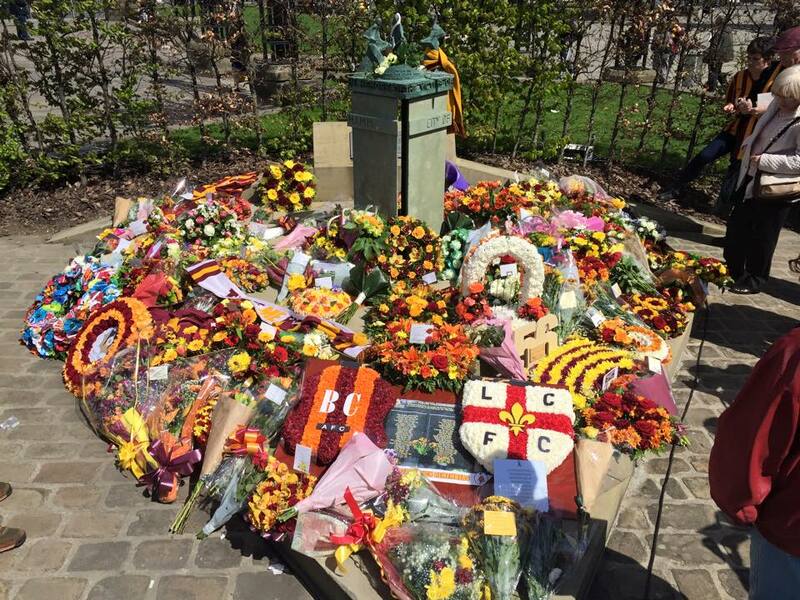 The Ukrainian Community in Bradford joins the whole City in remembering the 56 who died at Valley Parade 30 years ago today. We also share our support to those who were injured and those who still bear the scars and memories of that day. Always remember. Well done to the runners who took part in Coventry Half Marathon on behalf of the injured soldiers being treated in the UK. One of the soldiers a 22 year old from Khmelnytsk was able to watch, and was presented with a Coventry City shirt and a hand made card, signed by the children who attend the Ukrainian School in Bradford. OLESKIW Michal Please pray for the repose of the soul of Michal aged 88 years, who died December 25 in hospital, beloved husband of the late Kateryna, much loved dad of Luba, Maria and Darka, loving grandad of Nicholas. May he rest in peace. Vigil service Sunday, January 4 at 5.00p.m., at the Private Chapel of W. Lever Ltd, 524 Thornton Road (where flowers may be sent). Requiem Mass Monday at the Church of the Most Holy Trinity and Our Lady of Pochaiv, Park View Road at 10.30a.m., followed by interment at North Bierley. Friends please accept this intimation. 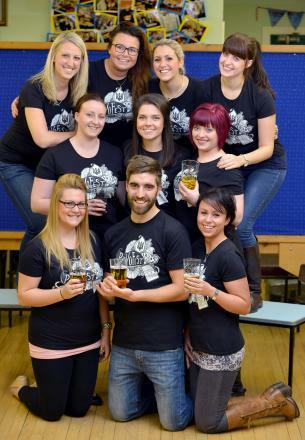 THE UK’s original Ukrainian Beer Festival is coming back to Bradford for a second year.PyvoFest 2014 at Bradford’s Ukrainian Club in Legrams Lane will be bigger and better than last year, said one of its organisers Ewhen Chymera. 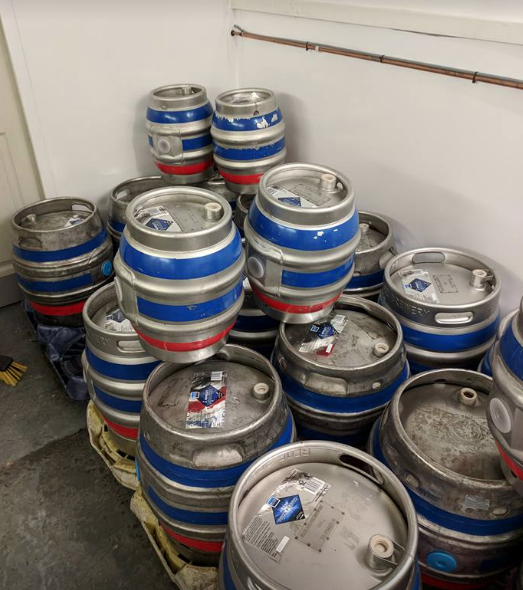 The festival runs over two days from tomorrow with more than 20 Ukrainian beers from light pilsners to porters and stouts on offer as well as a host of local ales, real ciders. Tomorrow’s session from 5pm until late will feature an exhibition of photographs from Kiev during the revolution as well as live comedy brought by Portion of Quips. The ladies working hard hand making a few thousand varenyky ready for #PyvoFest and the Autumn bazaar. 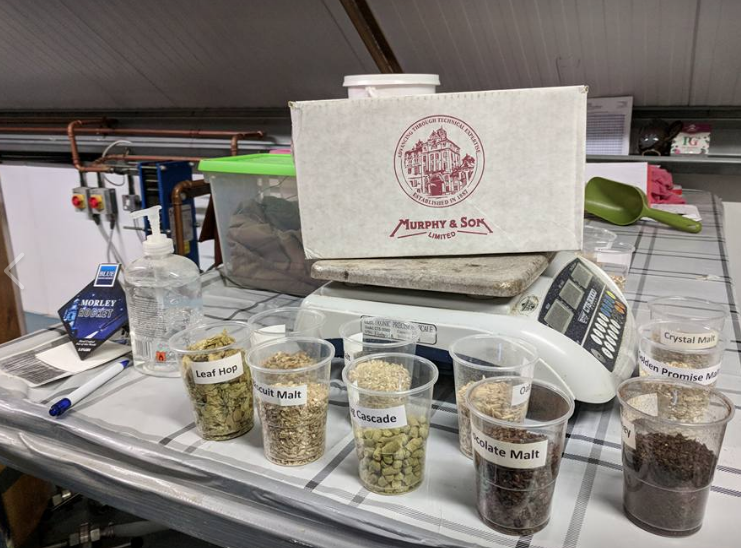 I think it may have been a record batch 3000 made!